Dial Press Trade Paperback, 9780385333481, 304pp. 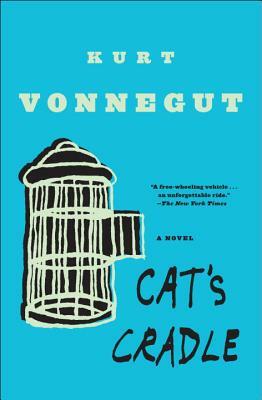 Cat’s Cradle is Kurt Vonnegut’s satirical commentary on modern man and his madness. An apocalyptic tale of this planet’s ultimate fate, it features a midget as the protagonist, a complete, original theology created by a calypso singer, and a vision of the future that is at once blackly fatalistic and hilariously funny. A book that left an indelible mark on an entire generation of readers, Cat’s Cradle is one of the twentieth century’s most important works—and Vonnegut at his very best. Kurt Vonnegut’s black humor, satiric voice, and incomparable imagination first captured America’s attention in The Sirens of Titan in 1959 and established him as “a true artist” (The New York Times) with Cat’s Cradle in 1963. He was, as Graham Greene declared, “one of the best living American writers.” Mr. Vonnegut passed away in April 2007.